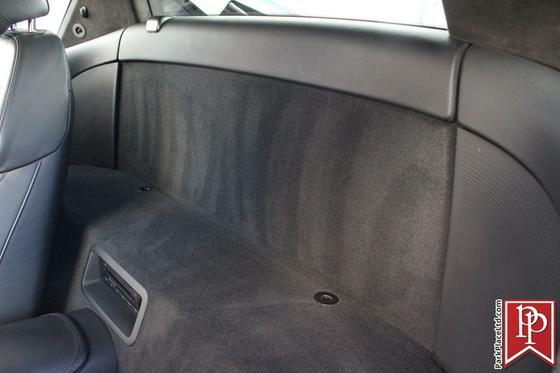 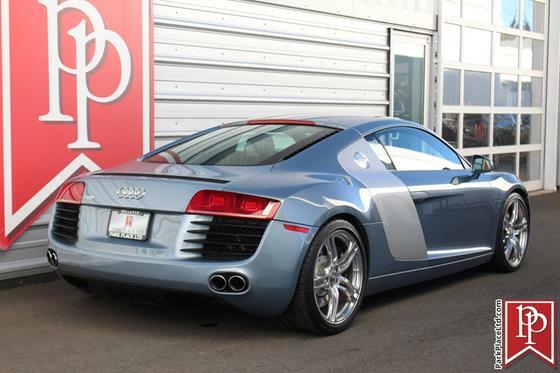 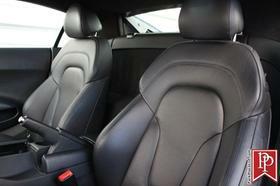 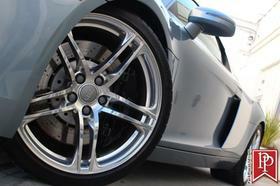 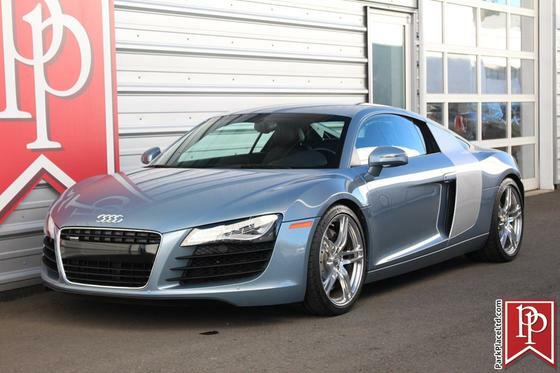 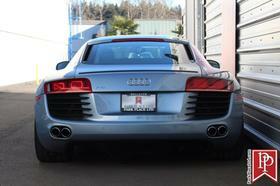 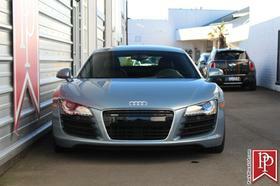 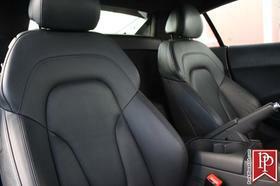 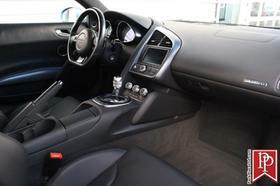 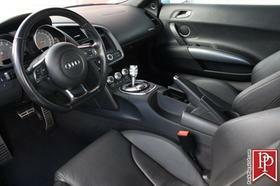 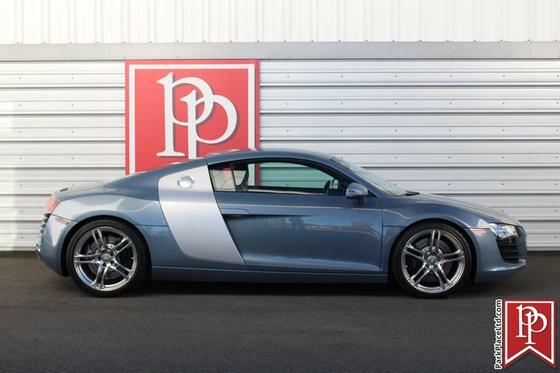 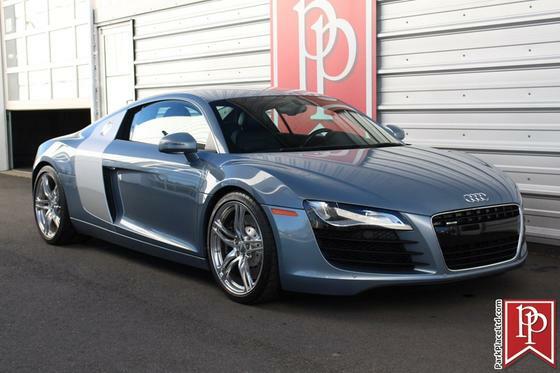 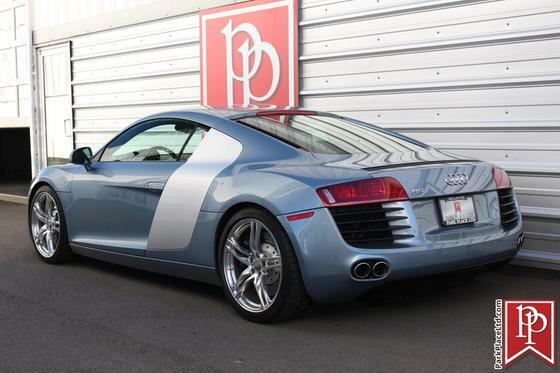 I'm interested in the 2008 Audi R8 4.2 you have listed on ExoticCarList.com for $65,950. I would like to know more about this vehicle. 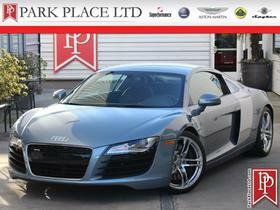 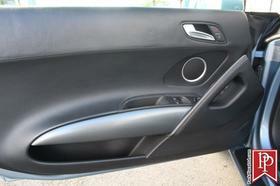 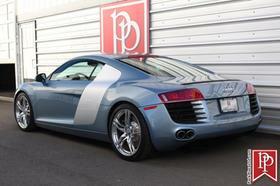 2008 Audi R8 finished in Jet Blue Metallic/Oxygen Silver with a Black interior. 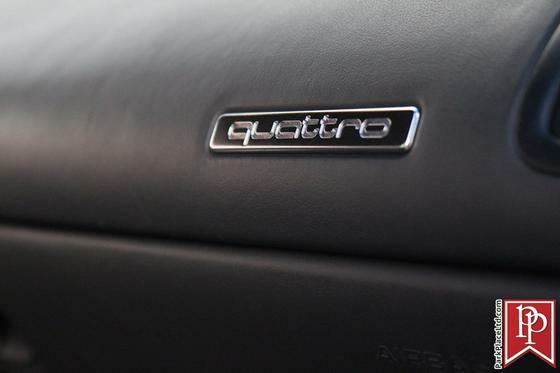 Powered by a 4.2L 420hp V8 Engine and backed by a 6-Speed R-Tronic automatic transmission with the power driven through Audi's highly regarded Quattro All-Wheel Drive system. 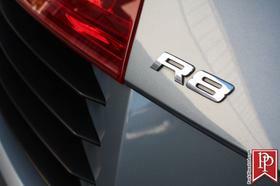 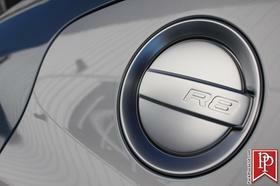 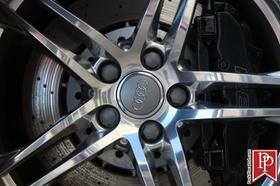 The R8 turned the industry on its face when it debuted in 2008. From its striking design to its industry-leading aluminum mid-engine construction, many competing manufacturers were left flat-footed and without response. 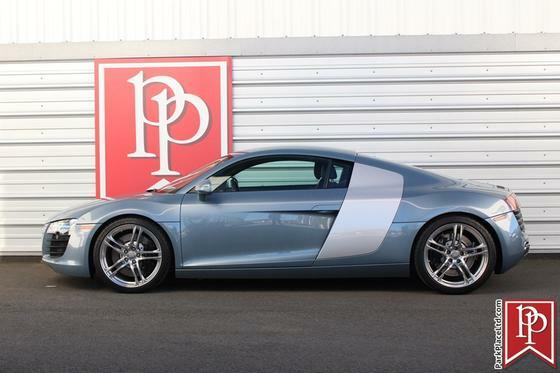 This is a gorgeous hard to find color combo. 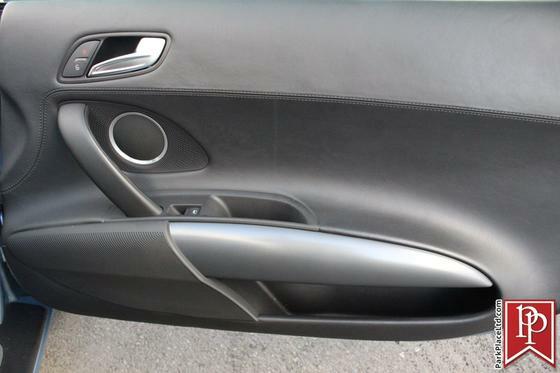 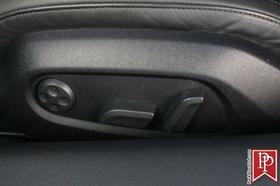 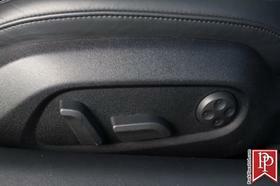 This car also features a clean CarFax.Optional equipment consists of; Enhanced Leather Package (Nappa door trim, instrument cluster cowl trim, dashboard trim), Convenience Package (hill holder, auto-dim mirrors, park sensors, rearview camera, 6-CD changer, storage package), Oxygen Silver Side Blade, Metallic Paint, Alcantara Headliner, Standard Navigation, Bi-Xenons with Auto Headlamp Control, Heated Mirrors, Satellite Radio, and Heated Sport Seats. 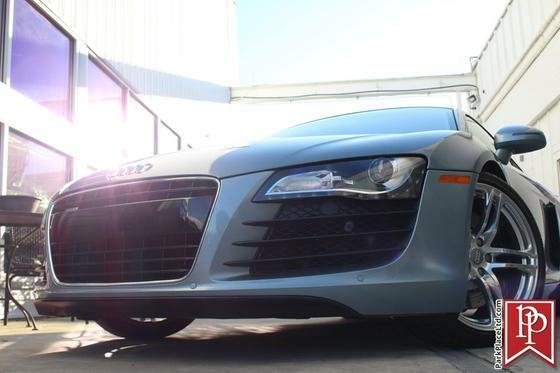 Upgrades consists of; stock magnetic ride control replaced by conventional coil-over setup, Tubi exhaust, and partial front-end paint film protection.Powering this R8 is a mid-mounted 4.2L V8 engine that is viewable through the glass rear window. The engine is backed by Audi's race-derived R-Tronic automatic transmission and the surefootedness of Quattro all-wheel drive. Further performance features include performance brakes, dry sump engine lubrication system, and electronic differential lock. 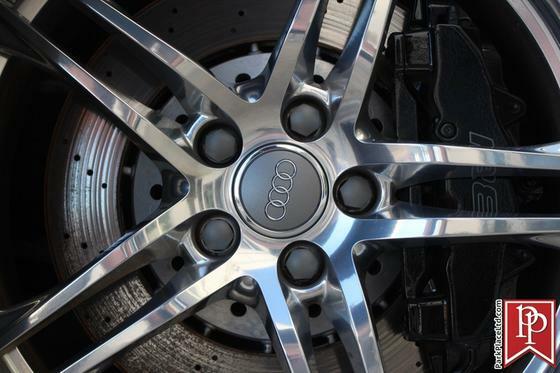 Power is transmitted to the ground with Audi's proven Quattro AWD system giving sure-footed confidence when being driven hard and added security when road conditions are less than favorable. 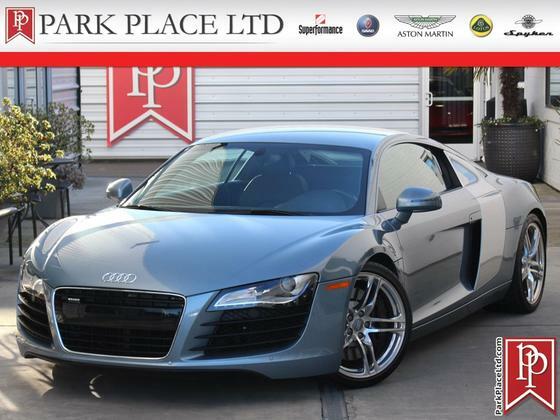 Inside the cabin, the driver is rewarded with a great driving position, easy to use infotainment system, and top quality materials.For more information on this pristine 2008 Audi R8 or any of our other 100+ Exotic, Sports, and Special Interest cars always in our inventory, contact our friendly and knowledgeable sales team, or always feel free to drop by our 40,000+ sq. ft. of Indoor Showrooms in Bellevue, WA - Home of the West Coast's Most Exciting Inventory of Luxury, Exotic, High Performance and Collectible Automobiles. 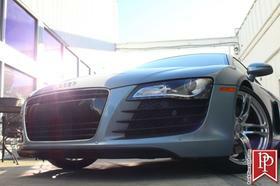 With 200+ Always On Site, Nobody Has What We Have!